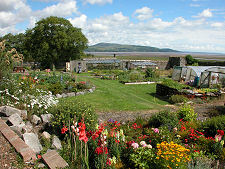 Wigtown lies close to the head of Wigtown Bay some six miles south of the main A75 at Newton Stewart. For many people it represents the gateway to The Machars, a broad peninsula projecting south into the Irish Sea, perhaps most famous for being home to Whithorn, the cradle of Christianity in Scotland. But Wigtown is well worth visiting in its own right. 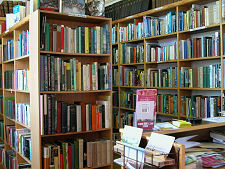 In 1997 it launched itself as Scotland's National Book Town. 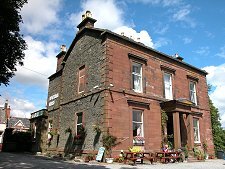 Visitor numbers have increased dramatically since and there are now some 30 book-related businesses in Wigtown and the nearby villages of Bladnoch and Kirkinner. 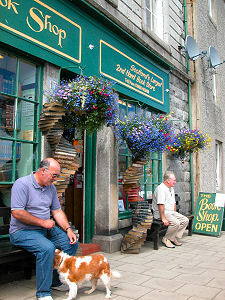 These include over 20 bookshops, perhaps most notably The Book Shop on North Main Street, which lays claim to the title of Scotland's largest second hand book store. 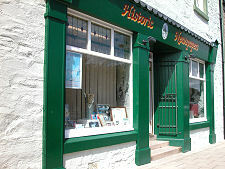 Nearby are the premises of Historic Newspapers, 2002 winner of the UK's Best Small Business Award. And each Autumn the town is home to the Wigtown Book Festival. The bustle of book-related traffic and visitors has brought a wider renaissance to Wigtown in recent years. An attractive indication of this can be seen in what is probably the town's largest building, the County Buildings and Town Hall, built in 1863 and dominating the east end of The Square. This has recently received a complete face-lift: and the wonderful pink and honey stone that has emerged lifts the whole of the centre of the town. 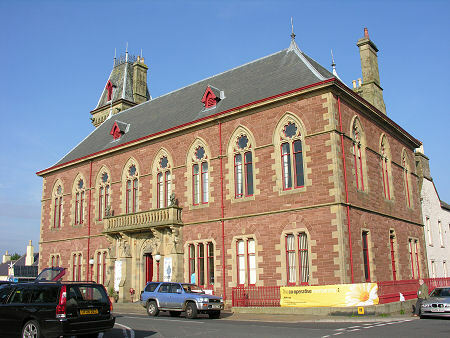 The renovated building is open every day and is now home to a small museum exhibition on the ground floor, a library with computer centre (free use for visitors and residents), and on the top floor the Wildlife Viewing Room has with panorama windows allowing breathtaking views from the Galloway Hills, over Creetown, as far as the English Lake District as well as TV screens providing live camera links to nearby nest sites. 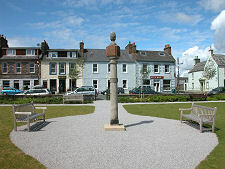 The Square, interestingly shaped as an elongated triangle, is home to a park and to Wigtown's bowling club. 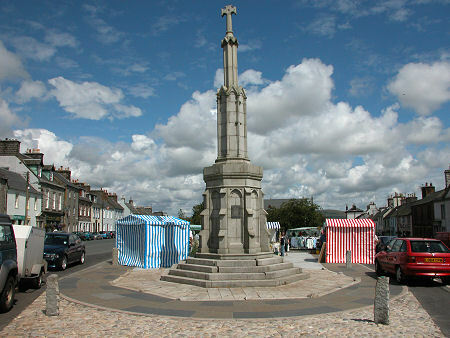 In its centre now stands the earlier of the town's two mercat crosses, dating from 1783. Its more elaborate successor still stands in the market place towards the western end of The Square. 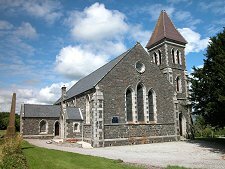 If you descend Bank Street past the north side of the Town Hall you reach Wigtown Parish Church. Close by are the remains of the much earlier church it replaced. 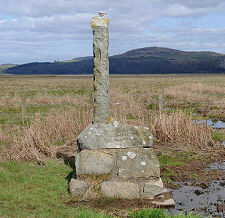 If you pass beyond the ruins towards the north east corner of the graveyard you find the enclosure containing three stones erected in 1720 to the Wigtown Martyrs, Covenanters who were martyred in 1685 by handing or by being tied to a stake in Wigtown Bay and left to drown in the incoming tide. They are also commemorated in a monument on the west side of the town on Windy Hill. This is a reminder that despite first appearances Wigtown does lie close to the shore, and for many centuries it was a significant port. From the 1400s it was also the terminus of a ferry across the River Cree to what is now called Creetown. 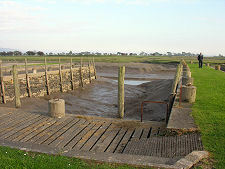 Silting of the River Bladnoch and Wigtown Bay caused problems for shipping bound for Wigtown from as early as the 1600s, and by the mid 1900s the harbour had ceased to function at all. Although this was cleared out in the mid 1980s, today the restored harbour is once again heavily silted. A miles south east of Wigtown the main road crosses the River Bladnoch in the village of Bladnoch. This is home to Scotland's most southerly distillery. Bladnoch Distillery was established in 1817: and although it was closed between 1993 and 2000, it is fully functional today and offers both a visitor centre and distillery tours.